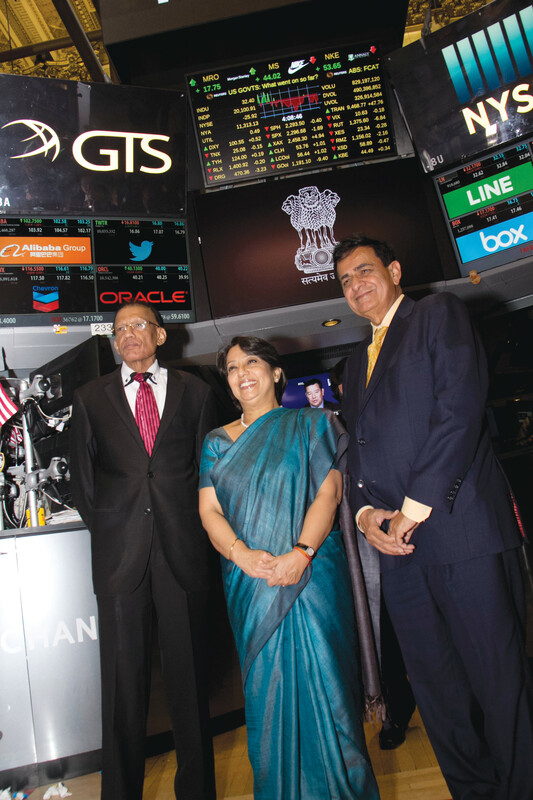 Ganguly Das rings the closing bell at the New York Stock Exchange, marking the end of the day’s trading. With the President of the exchange, Thomas Farley, standing next to her and members of the Indian-American community gathered around them on the balcony overlooking the trading floor, Das brought the day’s trading to a close by banging the gavel after sounding the bell. Consul General of India in New York, Riva Ganguly Das, with members of the Indian-American community at a reception hosted at New India House Jan. 26 to observe India’s 68th Republic Day. 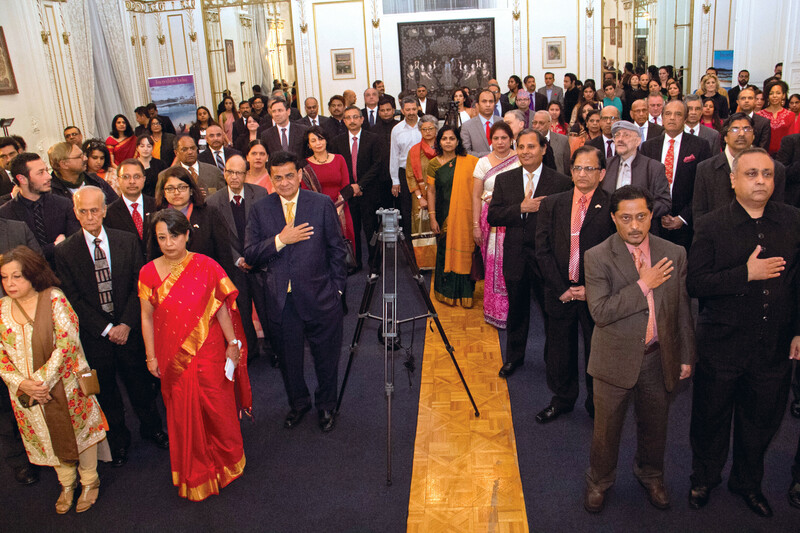 The Consulate General of India in New York observed India’s 68th Republic Day with a flag hosting ceremony held Jan. 26 morning at the consulate premises. Consul General Riva Ganguly Das unfurled the Indian tricolor and read Indian President Pranab Mukherjee’s address to the nation. In the evening, the consulate hosted a reception for members of the community. Ganguly Das highlighted India’s development initiatives and the India-U.S. relationship and their strategic partnership. “No country can come close to the range, quality and intensity of the partnership between India and the U.S.” she said. 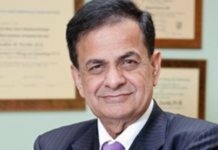 In attendance was Shashi Kant Sharma, the comptroller and auditor general of India, took over as the chairman of the United Nations’ Board of Auditors from Jan. 1 for a period of two years. The world’s biggest stock exchange, NYSE lists more than 2,400 companies with a market capitalization of over $19.3 trillion. Eight Indian companies, including Dr Reddy’s Laboratories, Wipro, InfoSys and ICICI, are listed on it. 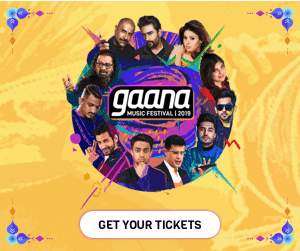 Nine India-oriented exchange traded funds also trade there. Ganguly Das, center, with News India Times publisher and recipient of India’s Padma Shri award, Dr. Sudhir Parikh, and TV Asia Chairman H.R. Shah. Shah is among the three Indian-Americans who were named for the Padma Shri awards this year. 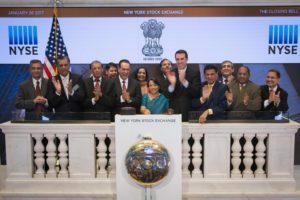 Ganguly Das is flanked with New York Stock Exchange President Thomas Farley, and members of the Indian-American community, as she signs the Guest Book at the New York Stock Exchange.